The subcommittee of the Board of Finance investigating millions in cost overruns to construct Fairfield's third railroad station plans to deliver a report on the project to the Board of Selectmen no later than Aug. 22, according to Kevin Kiley, the group's chairman. 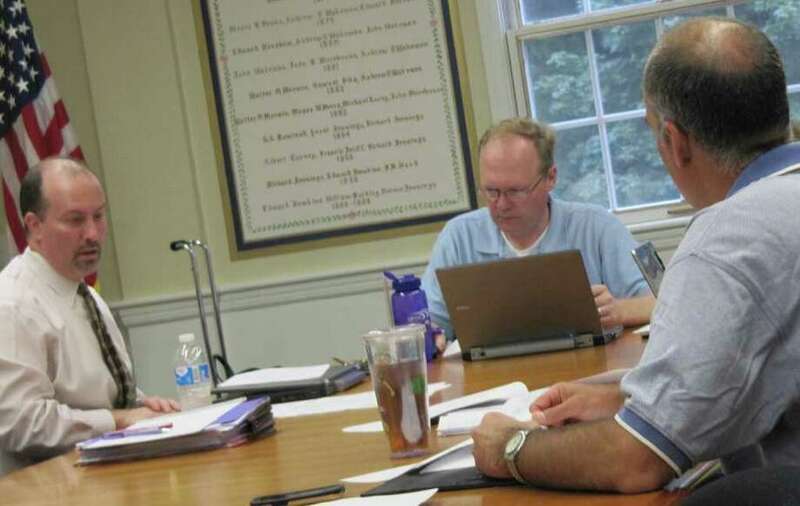 That would give the selectmen two days to digest the information before they are scheduled to meet Aug. 24 -- and start the process of closing the budget shortfall, estimated at between $2 million to $6 million. An audit of the Fairfield Metro Railroad Station's financial history will be provided by Joe Centofanti, a partner in the Farmington-based audit firm, Kostin, Ruffkess & Co., LLC, who attended Wednesday night's subcommittee meeting. Centofanti's report will not identify by name any person who may have acted incorrectly along the way. However, it can provide job titles, according to Kiley, who got an answer on this question from Town Attorney Richard Saxl about two hours prior to Wednesday's session. This apparently sidesteps any legal risk. "We just want an honest accounting of what happened," said subcommittee member Kenneth Brachfeld. "On one hand, we want a no-holds barred review, but at the same time, we don't want anybody to look bad." Kiley said he looked into the identity issue just to "make sure we're on the right side of any law." In addition to setting a date for completion of the audit work, the three-member subcommittee discussed with Centofanti reformatting and streamlining his audit, which will be part of the committee's final report. While members welcomed his attention to detail, everyone agreed there should also be a simpler document for dissemination to the public and town officials, who may in the future have to vote on funding the cost overruns. "We want to make sure the report we produce is clear, complete and concise," Kiley said. Brachfeld said 99 percent of the public just wants to see what's changed from the original Fairfield Metro contracts with various vendors that may have triggered the budget shortfalls. The audit subcommittee's next meeting is scheduled for 4:15 p.m. Tuesday, Aug. 9, in the second-floor conference room of Independence Hall. Members of the group hope to talk to Town Engineer Bill Hurley about his role in the train station project. He was unable to attend Wednesday's meeting.